Nasa’s Goddard Space Flight Center shared a fascinating image of rippling clouds perfectly parting above the South Georgia and South Sandwich Islands due to gravitational waves. 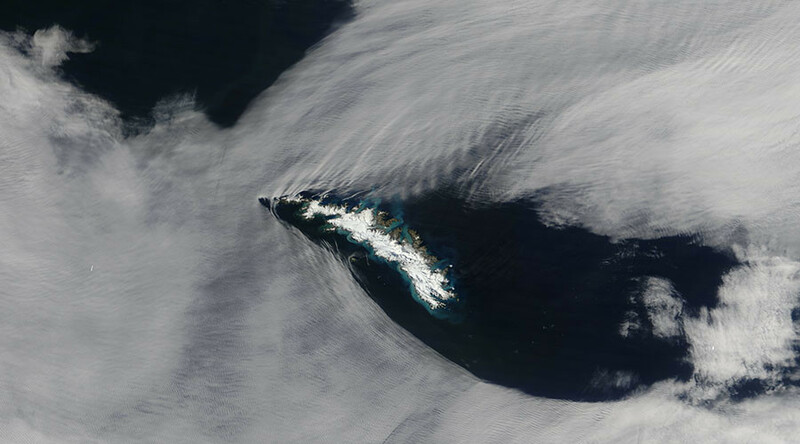 The blanket of clouds ripple as they cut around the British islands in the southern Atlantic ocean “like a ship carving its way through the sea” by a phenomenon known as “gravity waves”. Gravity waves are formed by the rise and fall of colliding air. Here, moist air from the ocean is pushed down by gravity but then forced back up again by the dry air below rising from from the islands. The movement keeps repeating over and again, creating a stunning pattern in the clouds. The image was captured by the Moderate Resolution Imaging Spectroradiometer (MODIS) on NASA’s Terra satellite on February 2.